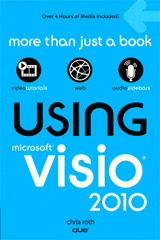 The hot-off-the-press Visio 2010 Technical Preview is in my hands, and contains a lot of new features. One that really catches your eye is the Live Preview for Layout. 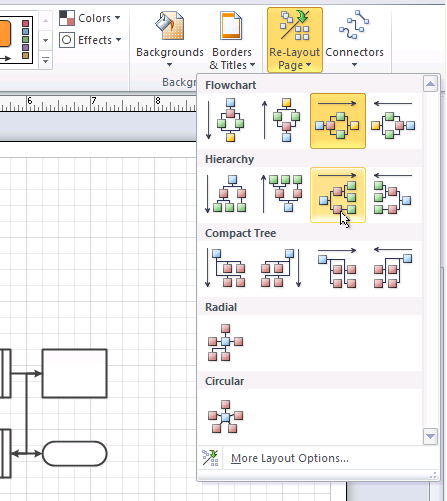 Not only does Visio 2010 let you preview how the layout for your flowchart or other connected diagram will look, but it also animates the transformation from old layout to new. It is a lot easier to understand what I’m talking about by watching the video, but here are a few illustrations to help you out if you’re on low-bandwidth or pressed for time. 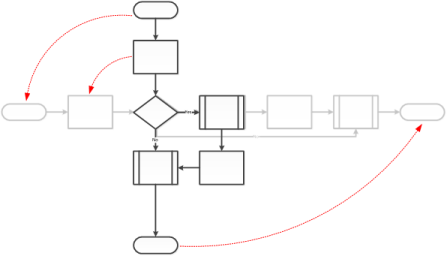 If you have a flowchart or network diagram, or other connected diagram, you might need to change the layout orientation and style from time to time. If you don’t see the layout option you want in the menu, notice that the More Layout Options… button is at the bottom of the menu to let you tweak to your heart’s desire.